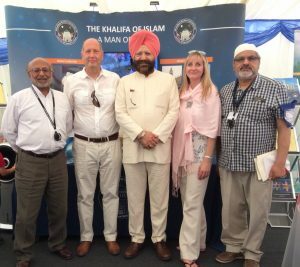 All Faiths Network members joined the Ahmadiyya Muslim Community at their Jalsa Salana (Annual Gathering) where followers from all over the world congregated for a 3-day celebration of their faith. 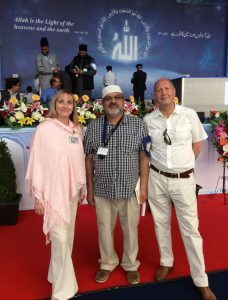 The Jalsa Salana gathers some 30,000 people during this period which is a time for spiritual and moral advancement, beneficial social interaction and most importantly to increase personal relationships with God. AFN members were honoured to be a part of the proceedings, meet many others of different faiths and see some of the humanitarian activities carried out by the Ahmadiyya Community around the world.